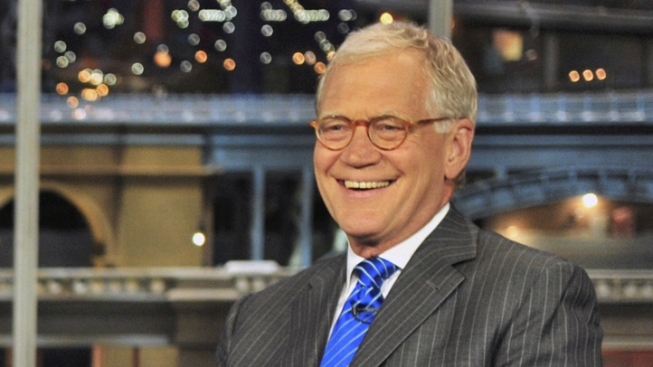 Does Letterman have debate fatigue, too? Not when it comes to his jokes. Late night hosts reflected Tuesday on the comedy gold Donald Trump cost them when he scuttled his own, er, trumped-up GOP debate — and they seemed weary of the debates still to come. "The Donald the Trump has pulled out of his own debate that all but two of the candidates had already pulled out of," Stephen Colbert explained. Trump said he chose to cancel the debate because his refusal to rule out a presidential run as an independent posed a conflict of interest for the Republicans. "Folks, this would be hugely embarrassing for Trump if that were an emotion he were capable of feeling," Colbert said of the decision. He managed to get in a dig at The Donald's distinctive hair, too. "It might make more sense if he ran as a Whig," Colbert said. David Letterman had his own crack at Trump's hair's expense, wondering: "How much does it take every year in cash to feed that thing on his head?" And the "Late Show" host devoted his "Top Ten" to the GOP debate season — 17 debates down, 12 to go — with a list of the "Top Ten Signs the Candidates Have Debate Fatigue." Number 10: "Most frequent question from moderators: 'You awake?'" Number six: "Last night, Romney challenged Perry to a $10,000 game of 'Words with Friends.'" And number three: "Jon Huntsman tried to… Wait, who the hell is Jon Huntsman?"